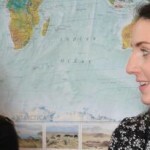 As one of the oldest language schools in the UK, Basil Paterson College has a long tradition of academic excellence and remains dedicated to empowering each student in their English language learning. We are passionate about teaching and student progression and development is our priority. 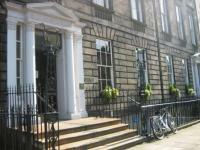 Located in the heart of Edinburgh’s historic New Town, Basil Paterson provides a unique academic environment where students study alongside native speakers studying for UK examinations or taking the Cambridge CELTA course. Our language programmes are carefully designed to ensure maximum output and improve knowledge of the English language. Experienced teaching staff work hard to ensure that students receive a high level of academic support and encourage your development. As the largest open exam centre in Scotland, we are well placed to guide students through exam preparation with our IELTS and Cambridge preparation courses. Taking a course at Basil Paterson means you study and take your exam in the same building. We also offer a guaranteed place on the next available exam. Additional one-to-one classes can be added to your course for increased focus on your specific requirements and personal needs. In the group classes you will expand your language and receive plenty of practice opportunities with fellow students, while in individual tuition you will get the chance to work on areas of the language that are most important to you. Max 10 students per class in group classes and 1 student in individual tuition. Course fees include: access to course materials, individual report, self-study resources, internet and wifi, tutor support at lunchtime and 1 activity per week. Our Focused Group Study course provides you with the essential tools for effective comprehension and communication in English. In addition to the development of your knowledge and accuracy, classes focus on the core language skills of reading, writing, listening and speaking. Our individualised tuition courses offer a personalised, intensive English language programme allowing you to make maximum possible progress for your individual needs. You can choose to focus on specific language development as well as specialised requirements, such as language for career purposes. Offering a flexible tuition programme, our experienced teachers also adapt your classes to suit your individual learning style. Whether it is business English, exam preparation, or extra time developing one particular area of your language knowledge, we tailor each class to ensure you make maximum progress. Our Cambridge exam preparation courses run for 8 weeks 3 times a year and in the summer we have a 4 week course running in both July and August. The Cambridge exam preparation course help you prepare for the FCE, CAE and CPE exams, with development of your language skills in morning classes and improvement of your exam technique in the afternoon classes. Our IELTS preparation courses are full-time and help you prepare for the IELTS exam with development of your language skills in morning classes and improvement of your exam technique in the afternoon classes. Homestay (available year round) : Standard half-board (breakfast and dinner every day - £178 per week) or Executive half-board (breakfast and dinner every day and private bathroom - £278 per week). Residence available in July and August ( standard single bed and breakfast - £310) (standard single half-board - £385) Apartments are available on request - we have a wide selection of self-catered apartments available. We can arrange an executive airport transfer directly from Edinburgh Airport to your accommodation. This will cost £50 each way. Your learning experience doesn’t stop at the end of class. The social and cultural activities we offer our students aim to extend your learning day and provide an excellent opportunity to practise your English and make new friends. At least 8 activities per week are offered during the summer and at least 3 activities per week for the rest of the year. 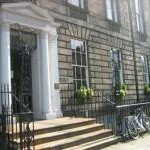 Sample activities include Scottish ceilidh dancing, walking around the Botanic Gardens, ghost tour of old Edinburgh and folk music in a local pub. We can help arrange trips to the Highlands at the weekend.